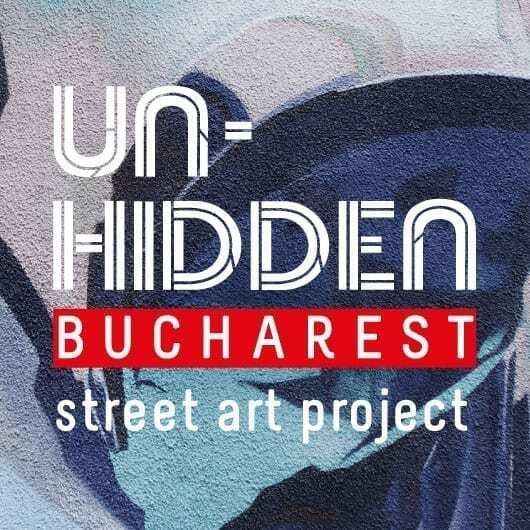 While investigating interesting street art during the Un-hidden Bucharest project, we had the chance to exchange a few ideas with the Italian artist CT from Turin. 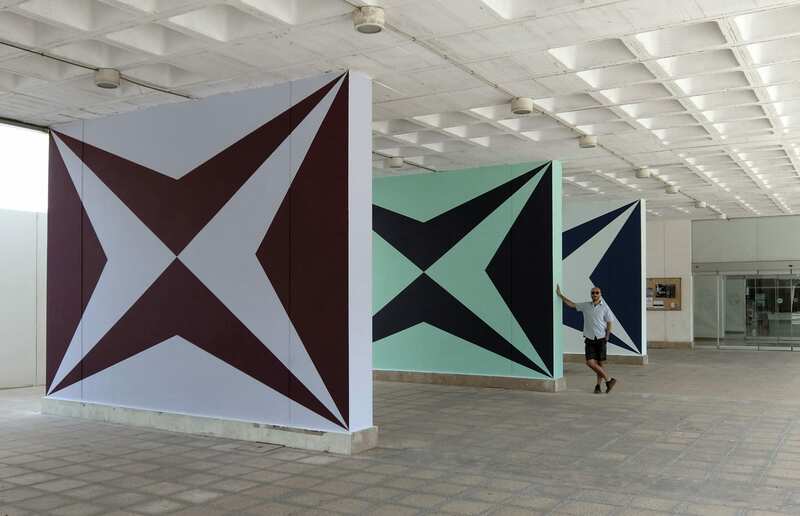 Inspired by multiple stimuli like architecture, the automotive sector and electronic music, CT creates an intriguing dialogue between his artworks and the places that host the works, changing the visitors’ perception. 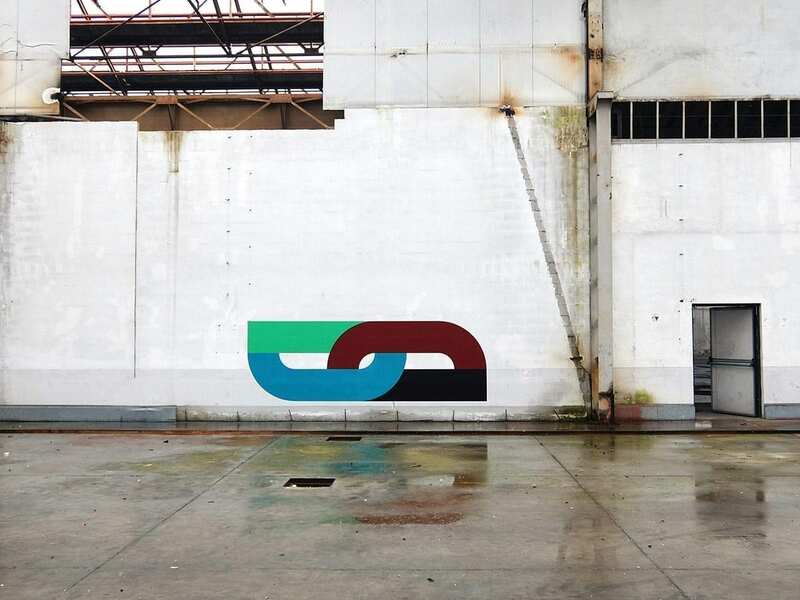 His minimalistic art interventions in abandoned factories try to connect the past and the present for a better understanding of the future. 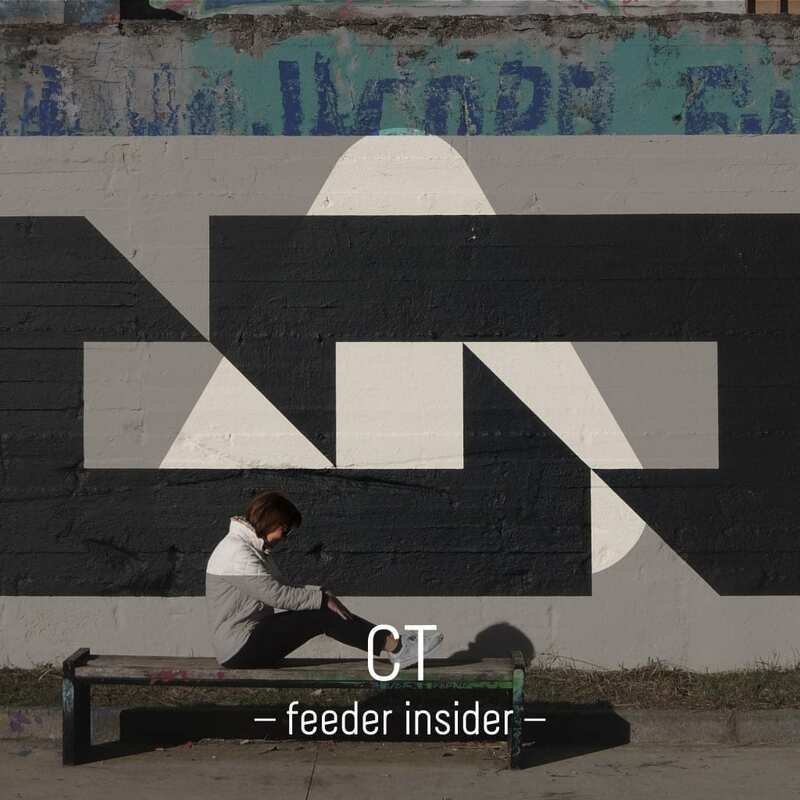 Read the feeder insider extended interview and discover more about CT. I make my own… shade of blue. Public space could… teach something. Last time I was at the cinema… I had a free admission. The light… of Dan Flavin. More and more I think of… the importance of owning an On Kawara paint. A straight line… it is a new horizon. Three artists who inspire me… are Constantin Brâncuși, Marcello Gandini, Primo Levi. 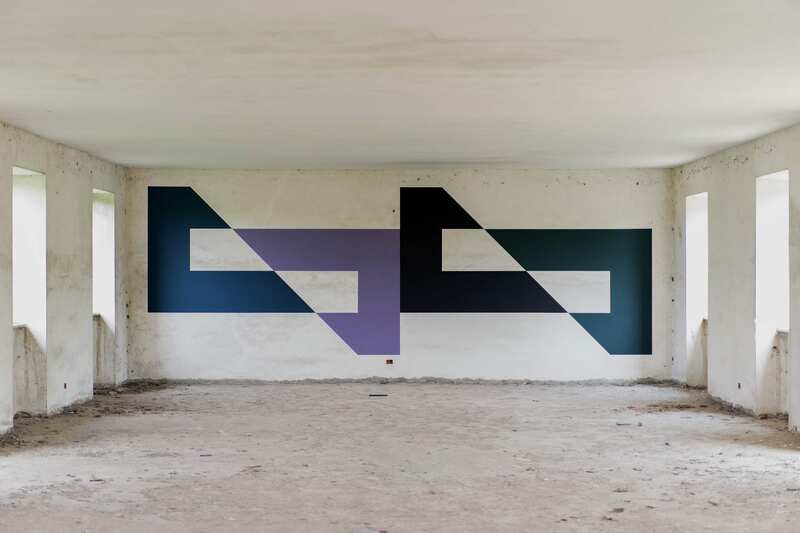 feeder.ro: We are happy to present our readers an insight of the omnipresent Italian artist CT, and his minimalist universe. What inspired you the chosen art as a medium for expressing yourself? CT: I believe it is a pleasure of creating something that is the transposition of myself in relation to the reality that surrounds me. With myself, I mean my ideas, my way of thinking and what I believe in. In this sense, creation is a political act. I was unconsciously inspired by the context in which I grew up and by the needs, I felt I had to express. The word “art” has a meaning as extensive as it is voluble. I have chosen to carry on with a maximum of coherence a possible declination of art, highlighting some aspects of contemporaneity. f: Who is CT and how did you discover this character in yourself? CT: I call myself an ordinary person. In the past I paid more attention to the value of the pseudonym “CT” with which you addressed to me, now it is only a graphism that immediately reminds me of my label! I honestly do not remember a specific moment in which I discovered this character. It is something that I have always felt, as far as I am concerned is an objective fact of my being as much as the colour of my eyes or the tone of my voice. By this I do not mean to say that it is a particular vocation, I believe it is simply a way to relate to society actively. f: How would you describe the environment that shaped you as an artist? CT: I have realized in recent years how the context in which I grew up has influenced my way of acting like an artist. I was born, and I live in Turin, in the northwest of Italy, a hundred kilometres from the French border. The city played a fundamental role in the entire history of Italy. The Romans founded it as a military camp. It became the first capital of Italy, home of the royal family. 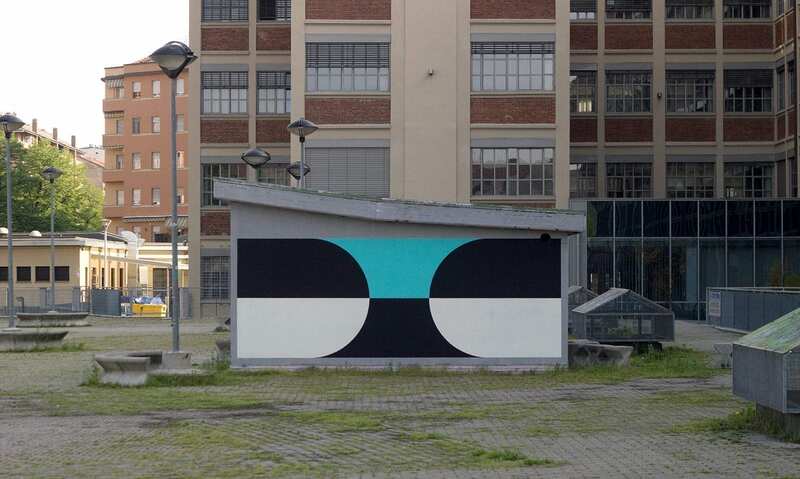 Together with Milan and Genoa, it has been part of the so-called “industrial triangle” which has made this area one of the most industrious in Europe since the post-war period. 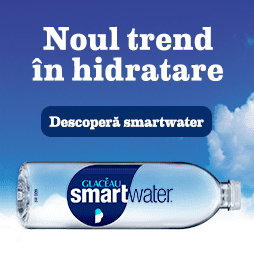 Next to this aspect of technical progress coexisted an equally important rural aspect: uncontaminated nature and small villages where craftsmanship has always been flourishing. My grandparents were partly artisans in the field of typography and engraving and partially engaged in the automotive industry. I have transposed in my works that memory, that way of doing that is peculiar to this city. My wall paintings are often painted on the walls of those same abandoned factories where the generation of my grandparents began to work. In this sense, I would like my work to be a bridge between the past and the present to understand better, possibly, the future. It might seem a nostalgic and very regional operation, but I think it is a vision of the future that can be shared by most of the European realities on the one hand who have to deal with their past, and a current analysis for the so-called developing countries. f: Do you think you could explain the creative process until you obtain a striking minimalist image? CT: The process, to be better understood, must take into consideration the last ten years of research. Today, when I start working on a new project, the shapes are already very simple and reduced to the minimum. With this premise, the best way to work is to know precisely the wall or the exhibition space in which I will go to intervene: all the technical specifications are an excellent input. In doing so, dialoguing with the space creating points of contact and fracture to develop a form, which I like to define as a “device” that, once finished, will change the perception of the place. 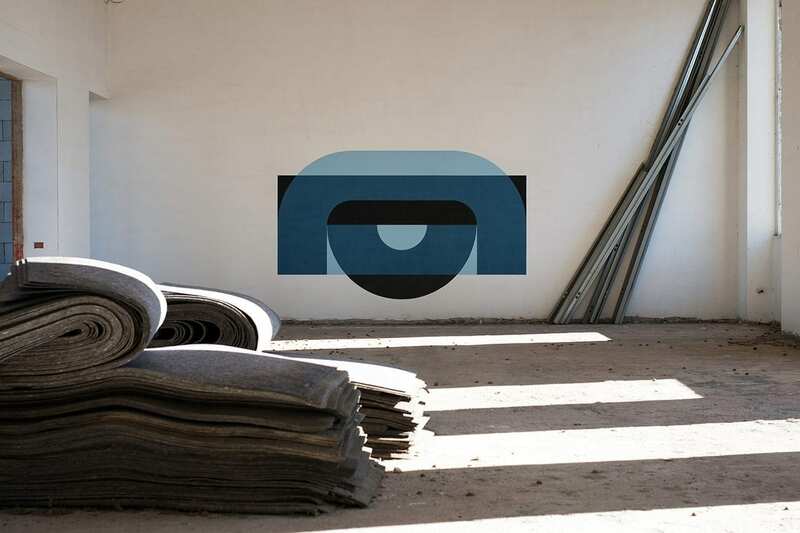 It is important that the process leads to a site-specific work, precisely adapted to that particular space. f: What are the most challenging steps leading up to the final vision for a new wall and where do you find your inspiration? CT: The most difficult passages are essentially two: to obtain a visually involving and coherent work without forgetting the sense of the work itself, falling into an easy decoration. The inspirations derive from multiple stimuli. 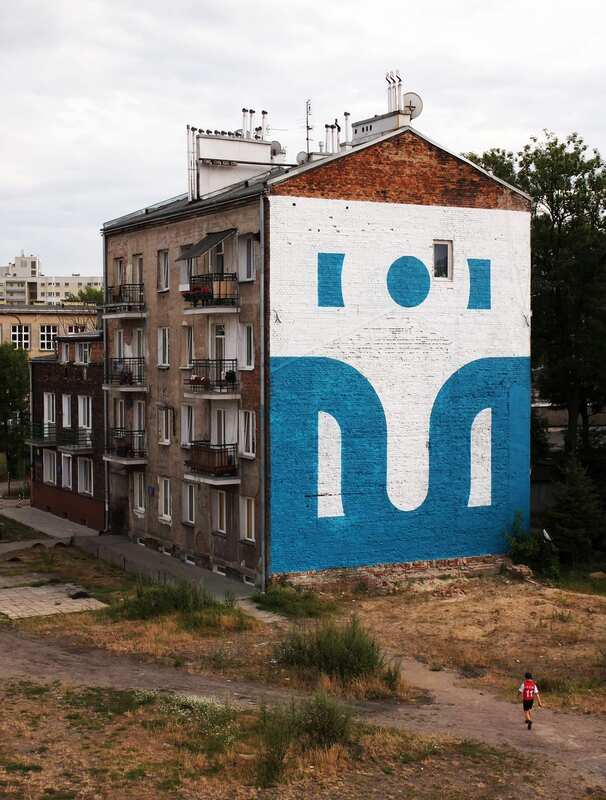 Surely contemporary and modern art play a fundamental role (especially artists with a style that is far from mine), together with architecture. But I would also like to mention the automotive sector, the military field, classical and electronic music. f: Your approach evolved a lot from the wild-style you can find in early graffiti years to your current abstract and minimalist style. What motivates you to keep working with the same two letters for such a long time? CT: I believe it is a pleasure of the challenge together with the awareness gained over the years that the shapes of the letters are nothing more than an expedient. There have been eras in the art in which religious scenes were expedient for artists to express their vision or criticism of society, the landscape through its multiple interpretations and studies and so on. I feel I can say a lot starting from seemingly simple elements. f: From one drawing to the other, you synthesize your style and letters but you always work with a similar vocabulary. What do you think are the minimum elements required for the human eye to recognise the letters in your works? 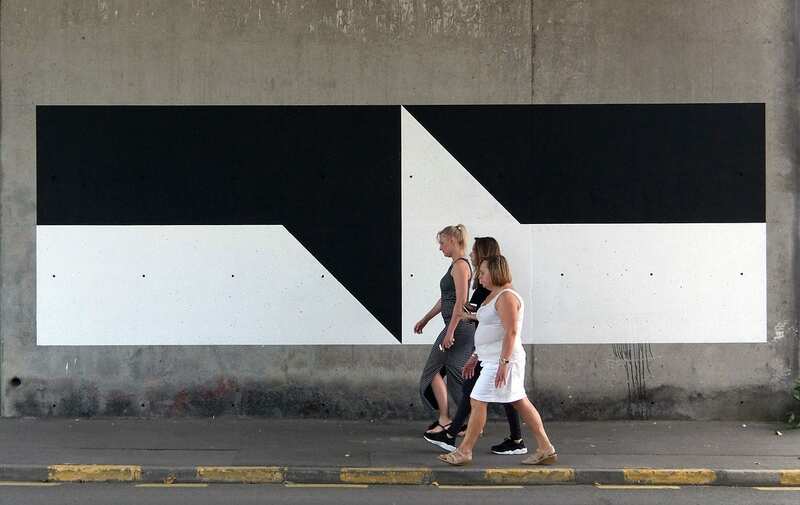 CT: I think it’s a question of rhythm created by shapes and layout in space. My work is recognisable because together with it I bring a context and a chromatic relationship. These elements together can potentially make my device-shape recognizable even if represented by a simple circle or square. f: Our society is spending a lot of time in a digital environment. How do you think art can evolve concerning the virtual world in the future? How do you think you will sketch and draw in a decade from now? 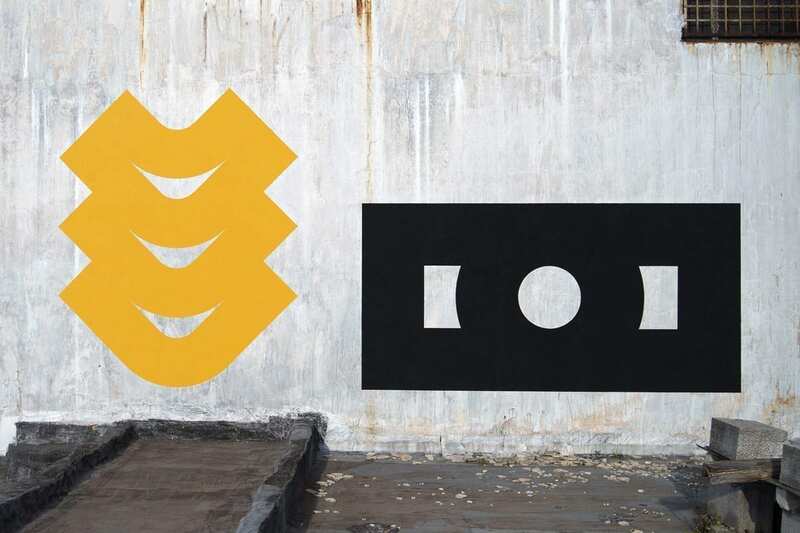 CT: Art is experiencing a new era in the virtual world. I am not referring to experiments connected to the experience of augmented reality, but to the dissemination of works through social media. In the future, there will be avant-garde experiments of ephemeral works (all this has already happened), but I am convinced that the photography of works will continue to occupy our screens for years! Probably, as already happens today, the artists will also work in function of this specific divulgation. Since I am a very twentieth century, a sheet of paper and a pen will remain on my table for another ten years at least. f: What other mediums of expression would you like to experiment with in the future? CT: I would like to deepen the sculptural or, better to say, architectural aspect. My today’s wall paintings could be drafts for tomorrow’s sculptures. I would love to collaborate with artists or technicians from other fields to take my work to the next level. In this sense, the most interesting medium could be synergy with other knowledge. 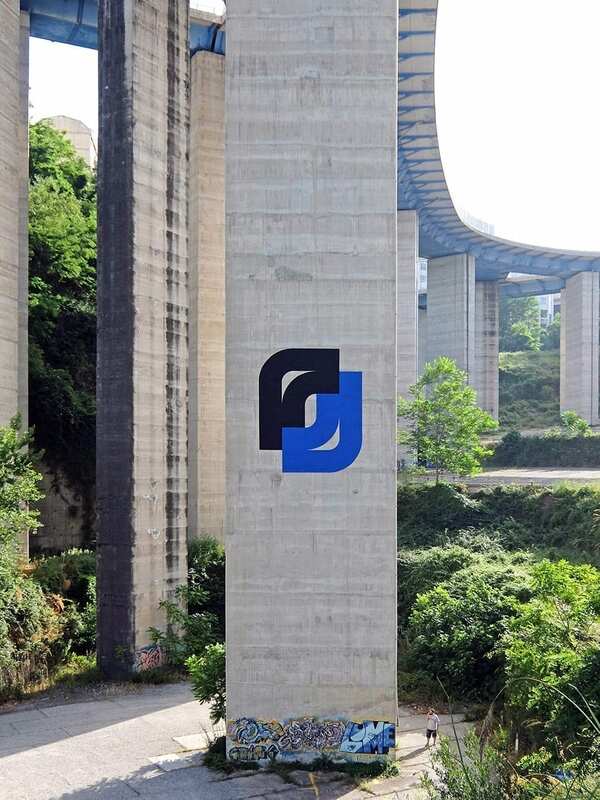 f: feeder.ro, in its 14 years online, is the alternative nation’s news agency, connecting the public with the artists they appreciate. Where do you get your updates and how do you filter them? CT: I update myself by buying many catalogues of exhibitions, reading the reviews made by the museums and by some curators that I particularly respect. Sometimes it is word of mouth among colleagues to discover new artists or exhibition realities. It is important to have a reliable reference for your research but also to diversify the sources. f: Thank you, it was a pleasure talking to you.